Margaret Ann Mathers Van Horn, 85, was born and raised in Aberdeen, South Dakota, Her father, A.C. Nicol was Canadian, and her mother, Ann Nicol Mathers was raised in Aberdeen by Scottish immigrant parents. Margaret received her B.S. in Elementary Education from Macalester College in 1955. She taught a year in Aberdeen, then moved to Boulder Colorado where she met Donald Van Horn. She received her M.A. at University of Colorado in 1958. She and Donald married in 1959. Their first son, Mark was born in 1961 in Lake Forest, Ill; their daughter, Ann, in Utica NY in 1963; son, Charles in Boulder CO in 1966. That same year the family moved to Colorado Springs when Margaret took on management of the household and raising their three children. In 1978 Margaret started a new chapter working at Colorado College, first in admission, then in development, later taking on the role of Registrar of the college. She retired from CC in 1995. 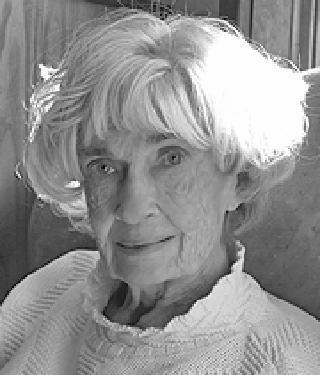 Margaret died at home surrounded by family on August 27, 2018. She is survived by her husband, Donald; children, Mark, Ann (Douglas Monroy), and Charles; grandchildren, Hannah, Gavin, Dylan, and Orlando; sister, Barbara Kruger; nephew, Christopher Kruger; and niece, Elizabeth Kruger Schneider. In lieu of flowers, gifts can be sent to St. Joseph's Indian School in Chamberlain, S.D.